This book presents a unified frequency-domain method for the analysis of distributed control systems. The following important topics are discussed by using the proposed frequency-domain method: (1) Scalable stability criteria of networks of distributed control systems; (2) Effect of heterogeneous delays on the stability of a network of distributed control system; (3) Stability of Internet congestion control algorithms; and (4) Consensus in multi-agent systems. 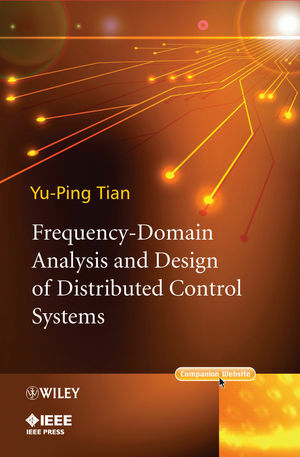 This book is ideal for graduate students in control, networking and robotics, as well as researchers in the fields of control theory and networking who are interested in learning and applying distributed control algorithms or frequency-domain analysis methods. Yu-Ping Tian is a Professor of Automation at Southeast University. His research interests include analysis and control of communication networks, formation control of robots, chaos control and synchronization, and robust and adaptive control. He won the Guan Zhao Zhi Paper Award at the Chinese Control Conference in 1995 and the Best Theory Paper Award at the 3rd World Congress on Intelligent Control and Automation in 2000. He is the recipient of the Chang Jiang Professorship awarded by the Education Ministry of China and the Distinguished Young Scholar Award of the National Natural Science Foundation of China. He has held visiting positions in Central Queensland University (1998, 2001), University of California at Berkeley (2002), and City University of Hong Kong (2004). Tian received a Bachelors degree from Tsinghua University, a Ph.D. degree from Moscow Power Institute and an Sc.D. degree from Taganrog State Radio-engineering University, Taganrog, Russia, in 1996. All his degrees are in Electrical Engineering.